A Gentle Giant . . . This is the short story of one plant; one very large plant. This biennial resembles a wildflower on steroids. The base can cover a full square yard and the flowering phase of the plant can extend its height up to six or seven feet. Being a biennial, I was not sure if this particular specimen was in its first or second year of growth. 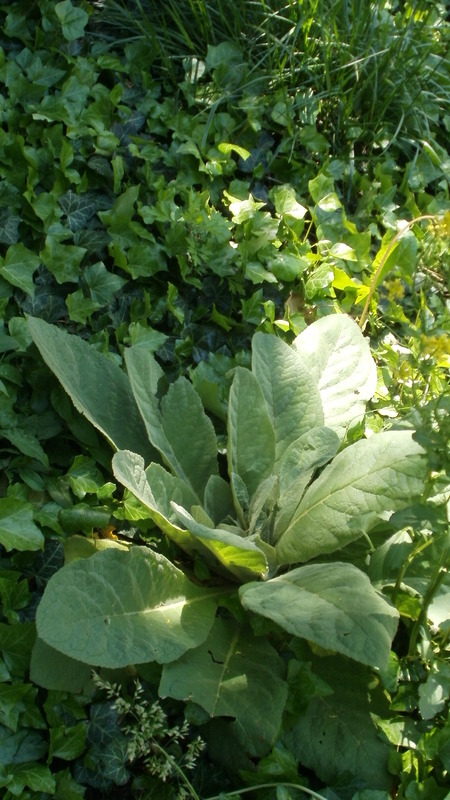 The common mullein does not go beyond the rosette phase in its first year. I also feared I might never know. The plant could have been removed outright, or at least trimmed back by gardening staff, so as not to flower, ever, even if it was ready and able. I was delighted to see the plant remained unscathed. Its height increased incrementally, leaf by leaf, like the stories of a skyscraper-in-progress. When I returned from a short vacation in the beginning of July, I visited the site and found its spike had shot up and had begun to flower. The large yellow blooms consist of five petals surrounding five stamens. These appear in a rough sequence, slowly working up toward the tip, as the summer passes. 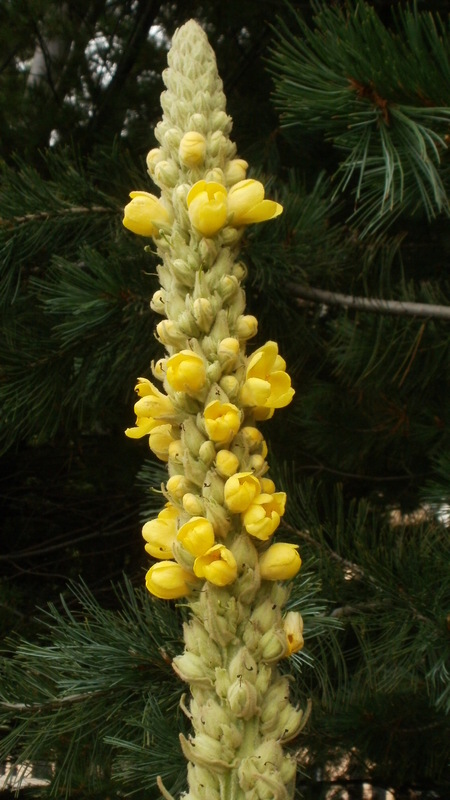 The Common Mullein is a member of the figwort family and a naturalized immigrant from Europe. The plant does not take over quickly or indiscriminately and should not be considered an invasive species. 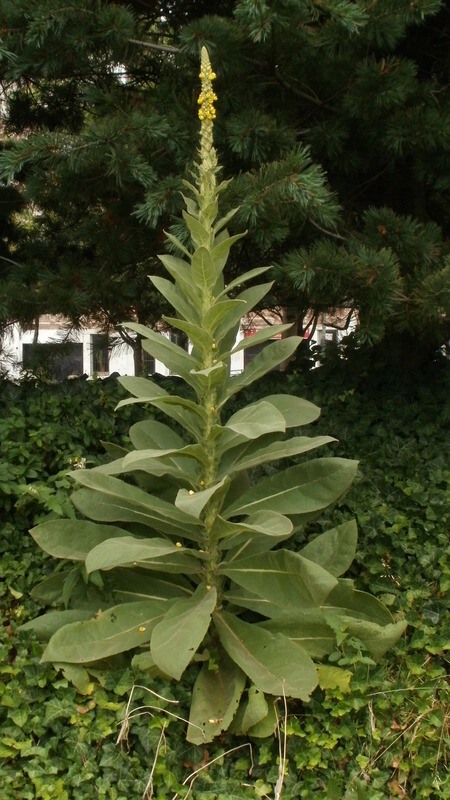 The plant is best described as a pioneer ornamental, as it often takes hold in areas recently disturbed by construction. One such place is along roadsides. Loose groups in their second year resemble clusters of rockets ready for launch and can be seen flanking, and flowering, the state highways of the American northeast. The plant possesses some astringent qualities that have been used for skin care. Otherwise, the Common Mullein is just a very large, unobtrusive, yellow wildflower; a gentle giant.